Kids do not like it, but you sure know that broccoli is the healthiest vegetable out there. The list of its benefits is never-ending, but do you make any difference between the parts of it? To be more precise, do you know which parts are edible, and how much do you actually know about its healing properties? 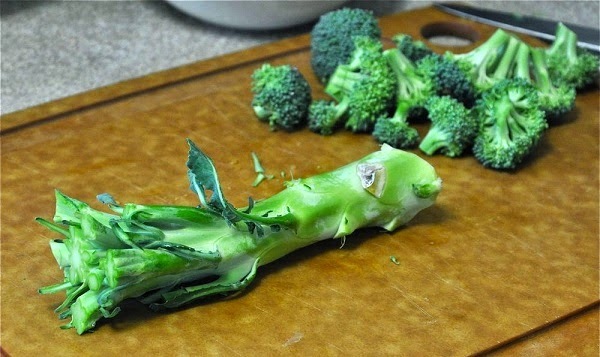 What is more, do you know to prepare broccoli properly? Hopefully, this article will give you the answers to all of your questions. We usually use the broccoli flower. It is rich in antioxidants, vitamins A, C and E, calcium and magnesium. But, what about the stalks? Have you ever wondered if broccoli leaves are edible? Yes, both leaves and stalks are edible. This may come as a surprise to you, but 30 grams of broccoli leaves (the ones that usually end up in the trash can) contain about 90% of the recommended daily intake of vitamin A, important for the immune system and vision. The same amount of broccoli leaves contains 43% of the recommended daily intake of vitamin C. We do not have to remind you that vitamin C has proven to be effective in the prevention against cancer, right? Remember, you should not throw those precious leaves in the trash can. You are probably doing the same mistake with the stalks. Broccoli stalks taste sweet and they contain more fiber than the flower itself. Since broccoli stalks require longer cooking, cook them before you add the rest of the vegetable. Broccoli is one of the healthiest vegetables. Moreover, you can enjoy every single bit of it and protect your health.